Polaris RZR has become the definition of recreational side-by-sides with the broadest line-up of vehicles including trail, high performance and four seat offerings for the ultimate combination of power, suspension and agility. Coming off an extremely impressive RZR XP 4 launch just months ago, Model Year 2013 enhances the line-up again with a new RZR 570 Trail Limited Edition with Electronic Power Steering (EPS), and for the first time on a RZR, Engine Braking System (EBS) and Versatrack Turf Mode; a gnarly Walker Evans Limited Edition RZR XP 900; dual-rate springs on the RZR 800 and more upgrades to the RZR family to make the line even more razor sharp. 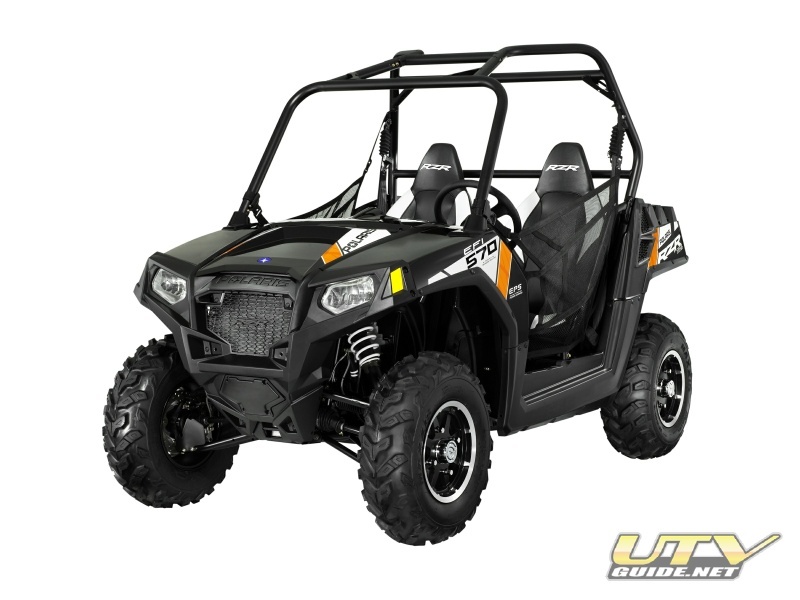 Trail enthusiasts will love the new RZR 570 Trail Limited Edition that features Polaris’ exclusive Electronic Power Steering (EPS) and Engine Braking System (EBS), which is standard on all RZR 570 and RZR 800cc two-seat, electronic power steering units. Polaris’ EPS is the smoothest, most responsive electronic power steering available, and paired with the all-new EBS system that controls downhill braking giving you optimum control and smooth, even deceleration during descents, the RZR 570 Trail Limited Edition can tackle whatever the trail throws it’s way. Along with EPS and EBS, the unit also will be the first RZR vehicle to offer Versa Trac Turf Mode. With the flip of a switch, the driver can unlock the rear differential for easier, tighter turns that won’t tear up sensitive terrain, reduces tire wear, provides better handling and increases agility. The combination of EPS, EBS and Versa Trac makes the RZR 570 Trail Limited Edition the ultimate trail machine. 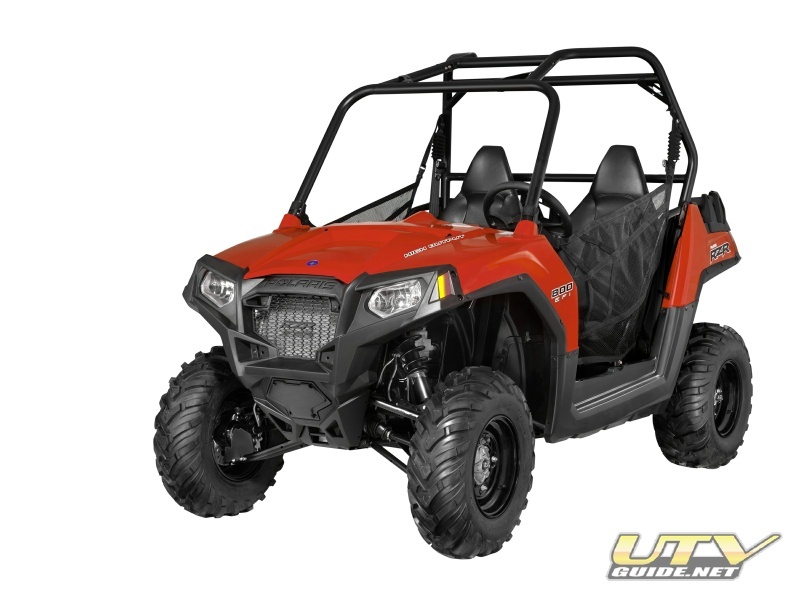 The RZR 570 Trail Limited Edition also will feature a glove box, high/low headlights and a new, true dry storage option under the hood access panel. The case is waterproof on the wettest trails, can carry one full gallon of true dry storage, is easily removable and has a handle for carrying ease. PURE Polaris will offer the case as an accessory for Model Year 2011 and 2012 800cc RZRs. 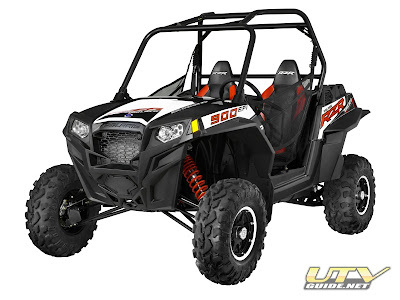 Adrenaline junkies will appreciate the new RZR XP 900 Walker Evans Limited Edition with EPS. The unit features Big Bore 2.5” Walker Evans shocks for the ultimate in xtreme performance, cut and sew seats, Maxxis Bighorn tires on Black Crusher rims and a custom graphics package. Other new features on the 900cc RZRs include easier shifting out of park, and a wet sump engine, allowing for easier oil changes, and a new rear cargo box that is flat for more storage capability. The RZR 800 was the vehicle that started it all and for 2013, the unit will feature dual-rate suspension springs for increased ground clearance across all payloads giving the original trail-capable side-by-side even more capability on the trail. All RZRs also will feature new, flow-through seat belts for easier adjustment and are available in Indy Red as a standard color. Limited Edition models include the RZR 570 Trail Edition with EPS, EBS and Turf Mode; Nuclear Sunset, Sunset Red, Polaris Pursuit Camo and Blue Fire with EPS for the RZR 800; Blue Fire/Orange and Orange/White with new matching Orange cab frame for the RZR S 800; Blue Fire/Orange with EPS for the RZR 4 800; Stealth Black/Evasive Green, Orange Madness/Blue with EPS and the Black/White Walker Evans Limited Edition with EPS for the RZR XP 900; and a Black/White/Red Limited Edition with EPS for the RZR XP 4 900.